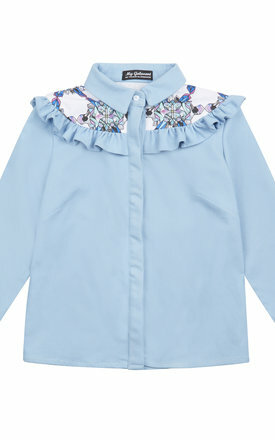 Super cute Elba denim shirt with frills. The shirt is made from light blue denim fabric with a printed yoke detail. This shirt is perfect as more casual piece for the office. 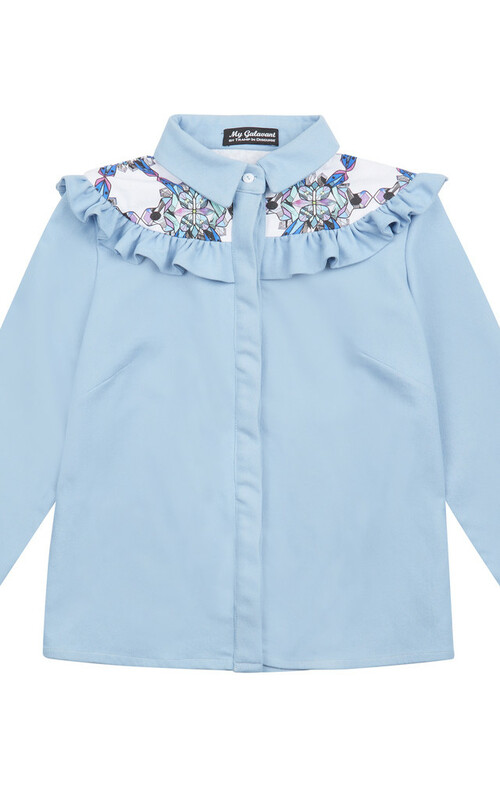 Pair this shirt with a skirt and heels for a more dressed up look.